Among the Enlightenment founders, his spirit is the one that most endures. on the course of self-improvement. 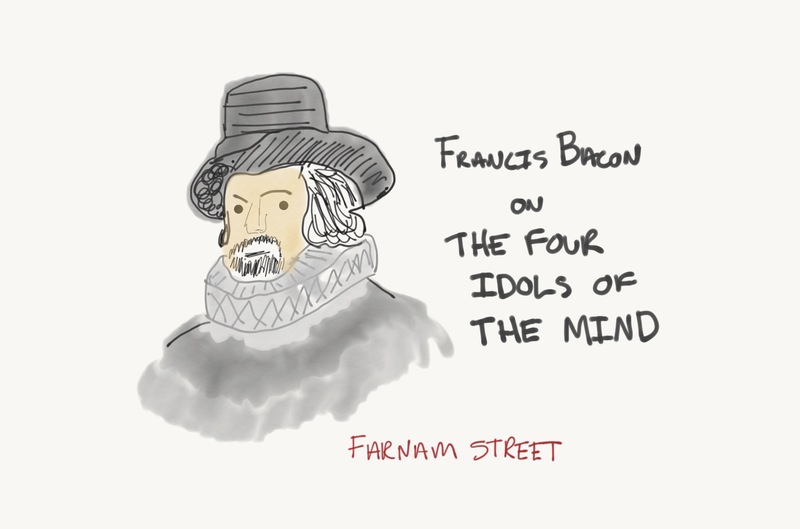 The English statesman and scholar Francis Bacon (1561-1626) was one of the earliest thinkers to truly understand the nature of the mind and how humanity truly progresses in collective knowledge. Bacon’s first great contribution was to lessen the focus on traditional scholarship: the constant mining of the old Greek and Roman philosophers and the old religious texts, the idea that most of our knowledge had already been “found” and needed to be rediscovered. To Bacon, this was an unstable artifice on which to build our understanding of the world. Better that we start reasoning from first principles, building up our knowledge of the world through inductive reasoning. E.O. Wilson summarizes Bacon’s contribution in a chapter on the Enlightenment in his excellent book Consilience. By reflecting on all possible methods of investigation available to his imagination, he concluded that the best among them is induction, which is the gathering of large numbers of facts and the detection of patterns. In order to obtain maximum objectivity, we must entertain only a minimum of preconceptions. Bacon proclaimed a pyramid of disciplines, with natural history forming the base, physics above and subsuming it, and metaphysics at the peak, explaining everything below–though perhaps in powers and forms beyond the grasp of man. In this way, Wilson crowns Bacon as the Father of Induction — the first to truly grasp the power of careful inductive reasoning to generate insights. Bacon broke down the old, rigid ways of classifying knowledge in favor of building a new understanding from the ground up, using experiments to prove or disprove a theory. Most importantly, hundreds of years before the advent of modern psychology, Bacon understood clearly that the human mind doesn’t always reason correctly, and that any approach to scientific knowledge must start with that understanding. Over 400 years before there was a Charlie Munger or a Daniel Kahneman, Bacon clearly understood the first-conclusion bias and the confirmation bias. The mind, hastily and without choice, imbibes and treasures up the first notices of things, from whence all the rest proceed, errors must forever prevail, and remain uncorrected. He called the wide variety of errors in mental processing the Idols of the Mind. There were four idols: Idols of the Tribe, Idols of the Cave, Idols of the Marketplace, and Idols of the Theater. The Idols of the Tribe made the false assumption that our most natural and basic sense of thing was the correct one. He called our natural impressions a “false mirror” which distorted the true nature of things. The Idols of the Cave were the problems of individuals, their passions and enthusiasms, their devotions and ideologies, all of which led to misunderstandings of the true nature of things. The final idol, of the Theater, is how Bacon referred to long-received wisdom, the ancient systems of philosophy, the arbitrary divisions of knowledge and classification systems held onto like dogma. Without emptying one’s mind of the old ways, no new progress could be made. This would be an important lasting value of the Baconian view of science. Truth must be reasoned from first principles. Lastly, there are Idols which have immigrated into men’s minds from the various dogmas of philosophies, and also from wrong laws of demonstration. These I call Idols of the Theater, because in my judgment all the received systems are but so many stage plays, representing worlds of their own creation after an unreal and scenic fashion. Nor is it only of the systems now in vogue, or only of the ancient sects and philosophies, that I speak; for many more plays of the same kind may yet be composed and in like artificial manner set forth; seeing that errors the most widely different have nevertheless causes for the most part alike. Neither again do I mean this only of entire systems, but also of many principles and axioms in science, which by tradition, credulity, and negligence have come to be received. Perfectly Reasonable Deviations From the Beaten Track is a wonderful collection of letters written to and from the physicist and professor Richard Feynman—champion of understanding, explainer, an exemplar of curiosity, lover of beauty, knowledge seeker, asker of questions—during his life and career in science. The book explores the timeless qualities that we cherish in Feynman. Let’s dive a little deeper. I have other desires and aims in the world. One of them is to contribute to physics as much as I can. This, in my mind, is of even more importance than my love for Arlene. I’m hitting some mathematical difficulties which I will either surmount, walk around, or go a different way—all of which consumes all of my time—but I like to do (it) very much and am very happy indeed. I have never thought so much so steadily about one problem—so if I get nowhere I really will be very disturbed—However, I have gotten somewhere, quite far—to Prof. Wheeler’s satisfaction. However the problem is not at completion, although I’m just beginning to see how far it is to the end and how we might get there (although aforementioned mathematical difficulties loom ahead)—SOME FUN! This week has been unusual. There is an especially important problem to be worked out on the project, and it’s a lot of fun so I am working quite hard on it. I get up at about 10:30 AM after a good night’s rest, and go to work until 12:30 or 1 AM the next morning when I go back to bed. Naturally I take off about 2 hrs for my two meals. I don’t eat any breakfast, but I eat a midnight snack before I go to bed. It’s been that way for 4 or 5 days. We see this frequently in genius-level contributors doing intensive work. It is not so much that they find the work easy, but they do find pleasure in the struggle. (There is actually another book about Feynman called “The Pleasure in Finding Things Out.”) Warren Buffett has said many times that he taps dances to work every day, and those who have spent time with him have corroborated the story. It’s not a lie. Charlie Munger has mentioned that one of the main reasons for Berkshire’s success is the fact that they enjoy the work. There is a third thing you will be interested in. I love you. You are a strong and beautiful woman. You are not always as strong as other times but it rises and falls like the flow of a mountain stream. I feel I am a reservoir for your strength — without you I would be empty and weak like I was before I knew you — but your moments of strength make me strong and thus I am able to comfort you with your strength when your steam is low. And long-time readers will remember the heart-breaking letter he wrote after she had passed away. Yours is the first honorary degree that I have ben offered, and I thank you for considering me for such an honor. However, I remember the work I did to get a real degree at Princeton and the guys on the same platform receiving honorary degrees without work—and felt an “honorary degree” was a debasement of the idea of a “degree which confirms certain work has been accomplished.” It is like giving an “honorary electrician’s license.” I swore then that if by chance I was ever offered one, I would not accept it. Now at last (twenty-five years later) you have given me a chance to carry out my vow. So thank you, but I do not wish to accept the honorary degrees you offered. My request for resignation from the National Academy of Sciences is based entirely on personal psychological quirks. It represents in no way any implied or explicit criticism of the Academy, other than those characteristics that flow from the fact that most of the membership consider their installation as a significant honor. As I get more experience I realize that I know nothing whatsoever as to how to teach children arithmetic. I did write some things before I reached my present state of wisdom. Perhaps the references you heard came from the article which I enclose. At present, however, I do not know whether I agree with my past self or not. Thank you for your letter about my KNXT interview. You are quite right that I am very ignorant about smog and many other things, including the use of Finest English. I won the Nobel Prize for work I did in physics trying to uncover the laws of nature. The only thing I really know very much about are these laws…. Check out Reasonable Deviations from the Beaten Track, and learn more about life and learning from the best.